Until the mid-1900’s, photographs required multiple steps in a special laboratory to be developed and printed. Edwin Land (1909-1991) changed this when he introduced the first Polaroid camera in 1948. The Polaroid captured, developed and printed photos with a single click of the camera. 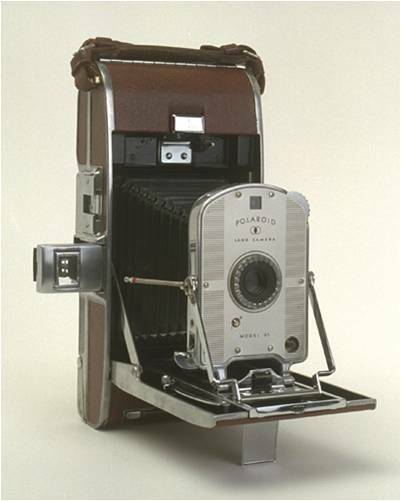 The first Polaroid Land Camera Model 95 – 1948. Smithsonian Libraries. Accessed: 23 July 2010. Smithsonian Libraries: Polaroid Land Camera Introduced in February 1947. smithsonianlibraries.si.edu. Accessed: 23 July 2010.